A luxury holiday that many only dream of, blue cruises are available both as private boat charters, but also as shared cabin charters. When you inquire about a blue cruise make sure to ask as many questions as you can in order to receive the most appropriate information and answers. This helps in giving you a better, clearer understanding of what you are booking so that you do not come across issues that later create disappointment. An agent should give you all the details pertaining to your inquiry as well. 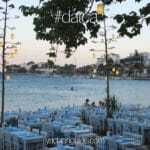 But sometimes there are small matters which can be overlooked, since each gulet holiday is a personalized one. Therefore plenty of questions are a good thing. Questions could also be asked by the other guests in your group. We are all human and sometimes cannot think of everything to ask as the group leader. Give your group members a chance to ask questions too. Everything about a blue cruise holiday should be great because it is in fact a wonderful holiday style to enjoy – especially in the Eastern Mediterranean. The following questions are ones that we found could be asked in order to plan and offer the most appropriate blue cruise holiday options. 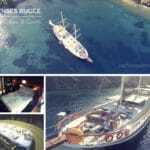 Whether a private gulet charter or shared, ask for all the costs included in the prices offered. No one likes surprises. 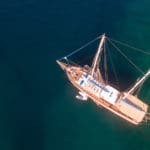 There are some fees that are undetermined at the time of booking, such as Greek Island harbor taxes and customs, land excursions, private marina fees. But you should be able to at least get an approximate figure to give you an idea of extra costs. There are many itinerary choices. These itineraries can be flexible. But they can also change during the trip (mainly due to weather / sea conditions). It’s good to ask where the boats you are inquiring about will cruise – especially if they are places different from the destinations you had initially inquired about. And don’t forget to check weather conditions near the time of your travel – especially if you have booked months in advance. The food menus vary from agent to agent and from boat to boat. Ask for a copy of the menu options. Most times these menus can be altered to suit your own preferences. Drinks are usually not included in private charter prices. Find out what your options are with soft drinks and alcoholic drinks. There are many types of activities to engage in. However the choices can vary from region to region and from boat to boat – particularly with water sports toys such as jet skis. Ask for available water toys on board and also where other water sports are available. Find out about the level of English of the crew on the boat you have decided to charter. You may need a phrase book to communicate better with the crew. Most gulets will require the same payment conditions. But it is always good to ask, as it could be different from the standard payment terms offered by most boats. 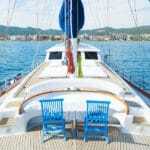 There are many places of interest during a gulet cruise holiday. Find out about the places of interest if you are unfamiliar with the region where you will be traveling. One subject that many travelers take for granted is the internet. Not all gulets have internet available. While it should be a standard in this day and age, always ask about whether the boat or boats your are interested in have internet on board. Every boat charter has a set of rules on board for the safety of everyone. It’s always good to know the rules on board. Why not ask about these terms so that you can familiarize yourself and your guests about the things allowed and not allowed on board. Although this information may also be available on board when you embark. There are many more questions to ask – as each traveler knows various or no information about gulet blue cruises. The more you ask, the better you will understand about your trip. No one question is a silly one – especially if this is your first gulet charter holiday.